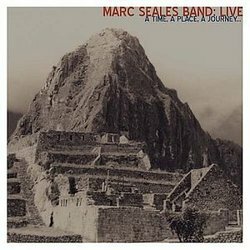 After 25 years as a sideman to some of the greatest names in jazz, pianist Marc Seales explores his own compositions in an eclectic live program focusing on his “electric” side. Along with his longtime Seattle band (including drummer Steve Korn and saxophonist Mark Taylor) Seales adds the forward-looking guitar work of Fred Hamilton from North Texas University and Southern California percussionist Lary Barilleau. From the open, improvisational explorations of “Long March” to the introspective gospel standard “Deep River,” Seales stays close to his roots which run deep and wide.